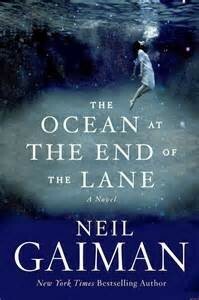 Fantasy novelist Neil Gaiman’s book “The Ocean at the End of the Lane” will be the next book read for the Bookends Book Discussion held at 6 p.m. Tuesday, Nov. 10 at the Kannapolis Branch Library, 850 Mountain Street, Kannapolis. The group meets the second Tuesday of each month at 6 p.m. to discuss a book. Call 704-920-1180 for more information.